PennsylvAsia: New Kensington's Xodus Medical hiring Chinese-speaking Computer Programmer. 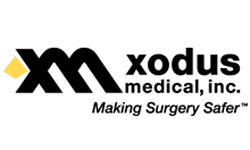 New Kensington's Xodus Medical hiring Chinese-speaking Computer Programmer. Medical Device manufacturer is seeking a Computer Programmer to fulfill a critical role in a fast paced environment. Design and develop new technologies for a large ERP system. Experience with vb.net, Visual Studio, SQL Server 2016, jQuery, and ASP.NET Web Forms. Work in a logical and systematic manner. Those interested may apply via Indeed.com.